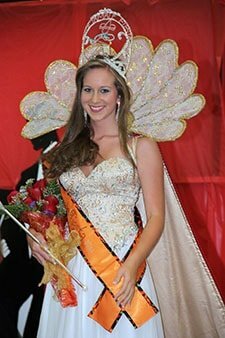 My name is LaRissa Faithe Phillips, on August 25th, 2012 my life was drastically impacted in a wonderful way, when I was crowned the 37th Annual Miss Zwolle Tamale Fiesta Queen. This has been a dream of mine since the first time I competed at the age of three, and is nothing less but a great honor to me. I am the 17 year old daughter of Lee & Collette Phillips. I have grown up in Zwolle my whole life. I have one older brother Garrett, an older sister Leanna, and a 3 month old nephew Connor. My maternal grandparents are Bob Bennett and Elizabeth Remedies Bennett. My Paternal grandparent is Marlene Prewitt. I am a 2012 Graduate of the ABeka Christian homeschool program. I currently attend Bossier Parish Community College where I am majoring in Nursing. After earning my associates degree I plan to then attend Louisiana State University of Shreveport to obtain my Master’s degree to become a nurse practitioner specializing in oncology. In my spare time I enjoy spending time with family and friends, sewing, shopping, cooking, and creating craft projects for myself. I would like to thank my family for sponsoring me in the pageant and also for supporting my goal to be 2012 Miss Zwolle Tamale Fiesta Queen. Also, a special thank you to everyone else who made sure i was readily prepared for the day of competition. I am privileged to have the opportunity to travel state wide this year representing my hometown and a festival that means so much to me. I plan to go above and beyond, reach out and let everyone know how great our festival is! My goal is to attract more visitors than ever to the festival this year, because everyone deserves the opportunity to experience the rich cultural aspect of the Tamale Fiesta and what our town is really about. It’s nothing less than a dream achieved by now, and forever being able to carry the title of 37th Annual Miss Zwolle Fiesta Queen. Hi, my name is Regan Renee Anderson. I am the 19 year old daughter of Clint and Suzette Anderson of Negreet. I have one brother T.J Leach who is married to Lesli. They have three children Ellie Marie, Parker Scott, and Joeli Ray. They are my three greatest blessings in life as of now. I graduated from Negreet high school in 2012 and currently attend Bossier Parish Community College where I am a Criminal Justice major with aspirations of becoming a Louisiana Department of Wildlife and Fisheries Agent! When not in school or working I like to hunt, be with family, go to the camp, be on the lake, spend time with friends, and mainly just be a kid! I am a member of Siloam Baptist Church where I am active in Choir, youth group, and help with children activities. 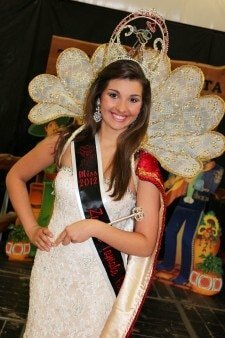 I would like to thank my parents, my grandmother Rose Martinez, Thurman Webb, and Cally Lang Killingsworth for all the help in making my dream of becoming Miss Zwolle Tamale Fiesta Queen possible! I look forward to a year full of fun, meeting new people and representing the Tamale Fiesta with great pride. 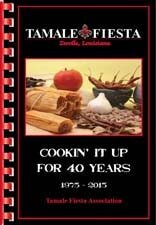 Please join us at the 38th Annual Tamale Fiesta!